8    markets law, and such liquor is sold. 11      2-c. 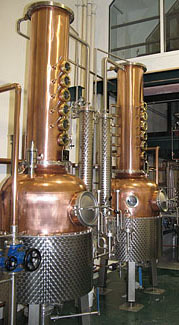 Distiller's license, class D.
5    leaves the licensed distillery. 11    premises of the licensed distillery. 18    the customer leaves the licensed distillery. 28    of liquor for tasting equal to more than one-quarter fluid ounce. 32    obligations law, shall accrue to the licensee. 38    such licensee is authorized to offer tastings and sales. 45    premises shall apply so far as applicable to such application. 47    excess of thirty-five thousand gallons of liquor annually. 55    necessary to implement the provisions of this act on its effective date.